Before joining Arizona State University in July 2018, Pfirman was Barnard College Professor of Environmental Science and Alena Wels Hirschorn '58 and Martin Hirschorn Professor of Environmental and Applied Sciences, and co-Chair of the Department of Environmental Science. She held a joint appointment with Columbia University where she was a member of the faculties of the Earth Institute and the Department of Earth and Environmental Sciences, and an Adjunct Research Scientist at the Lamont-Doherty Earth Observatory of Columbia University. Prior to joining Barnard, Professor Pfirman was a senior scientist at the Environmental Defense Fund and co-developer of the award-winning exhibition, "Global Warming: Understanding the Forecast," produced jointly with the American Museum of Natural History. She has worked for the House of Representatives, as a staff scientist, for the US Geological Survey, as an oceanographer, and for the GeoMarine Research Institution (GEOMAR) in Kiel, Germany, as an Arctic researcher. Her PhD is from the Massachusetts Institute of Technology/Woods Hole Oceanographic Institution joint program in Oceanography and Oceanographic Engineering and she has BA with high honors in Geology from Colgate University. Professor Pfirman’s scientific research focuses on the Arctic environment, in particular on the nature and dynamics of Arctic sea ice under changing climate. Her previous research activities have included melting and surging glaciers and pollution transported by sea ice. In 2010, Pfirman was elected as a fellow of the American Association for the Advancement of Science in the Section on Atmospheric and Hydrospheric Sciences. In 2018, she was elected as at large member to the section steering group. 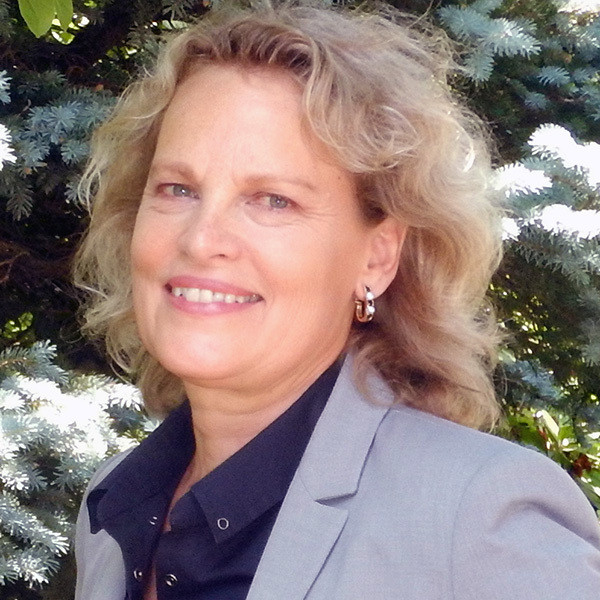 As a former co-PI of National Science Foundation Advancing Women in the Sciences (ADVANCE), past President of the Council of Environmental Deans and Directors, and Chair of the Earth Institute's Faculty Development Committee, Pfirman has helped to understand and foster the career trajectories of women and interdisciplinary scholars. She has contributed to the development of innovative educational approaches in interdisciplinary, environmental, and STEM education including serving on the AAAS Committee on Opportunities in Science, chairing the Education and Faculty Development Committees of the Columbia Earth Institute, and serving as a consultant for the Andrew W. Mellon, Sherman Fairchild, and Luce foundations as well as being a reviewer for the Howard Hughes Medical Institute. Professor Pfirman is currently principal investigator of the Polar Learning and Responding: PoLAR Climate Change Education Partnership supported by the National Science Foundation and a member of the NSF Advisory Committee for evaluation of the Science, Engineering and Education for Sustainability (SEES) Portfolio. She was twice a member of the National Science Foundation’s Advisory Committee for Environmental Research and Education (AC-ERE), and served as the AC-ERE’s first Chair when it was established over a decade ago. Other prior service includes Chair of the Advisory Committee to the Office of Polar Programs at NSF, member of the National Academy of Science’s Polar Research Board, co-Chair of the NAS study committee on Emerging Research Questions in the Arctic, Chair of the NAS study committee on the Scientific Value of the Arctic Sea Ice Imagery Derived Products, and member of the NAS study committee on the Legacy and Lessons of International Polar Year 2007-2008. In 2016, in honor of extraordinary service, Pfirman was designated a lifetime National Associate of the National Research Council. Pfirman, S., R. C. Smardon and M. A. Reiter. 2019. Supporting sustainable human and environmental systems faculty. Pp. 216-227 In: Focht, W., M. A. Reiter, P. A. Barresi and R. C. Smardon eds., Education for Sustainable Human and Environmental Systems: From Theory to Practice. Routledge. ISBN: 9780815399520. Martin, P. J. and S. L. Pfirman. 2017. Facilitating interdisciplinary scholars. Pp. 586-600 In: Frodeman, R., J. T. Klein and R. C. Pacheco eds., Oxford Handbook of Interdisciplinarity, 2nd Ed. Oxford University Press. Oxford, UK. ISBN: 978-0198733522. Kenna, T. C., M. Turrin and S. Pfirman. 2012. The "field" through a dfferent lens. Pp. 167-169 In: Kastens, K. A. and C. A. Manduca eds., Earth and Mind II: A Synthesis of Research on Thinking and Learning in the Geosciences. The Geological Society of America. ISBN: 9780813724867. Martin, P. J. and S. Pfirman. 2010. Fostering interdisciplinary scholars. In: Frodeman, R., J. T. Klein and R. C. Pacheco eds., The Oxford Handbook of Interdisciplinarity, 1st Ed. Oxford University Press. Pfirman, S. 2009. Changing in the north. Pp. 45-69 In: Schmidt, G. and J. Wolfe eds., Climate Change: Picturing the Science. W. W. Norton & Company. ISBN: 978-0393331257. Lange, M. and S. L. Pfirman. 1998. Arctic Sea contamination: Major characteristics and consequences. Pp. 651-682 In: Lepparanta, M. ed., Physics of Ice-Covered Seas. Vol II. Helsinki University Printing House. Helsinki. ISBN: 951-45-8226-8.